By now you’ve probably read my first post on gardening: Vegetable Gardening for Beginners . One of the things that can defeat a new gardener faster than anything else (I know it sure would defeat me!) 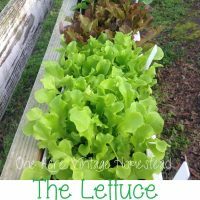 is waging war with all the garden pests that want to take over your veggies and prevent you from ever getting your first good harvest. For that reason I’m adding this second installment on my post about gardening, and calling it Natural Remedies for Garden Pests. But I’m confessing right up front that I don’t have all the answers (very few of them in fact) about this war on garden pests. So in this post I’m going to give you a list of what many experienced gardeners believe to be the 12 biggest garden pests, and add a round-table blog with each that helps us to see a way that we can be successful in the war against that pest. Dipel Dust – used by commercial organic growers to control insects on vegetables. Japanese Beetle Trap – uses a pheromone and catches the beetles and traps them. Essential Oils ( where to buy ) – rosemary, melaleuca, peppermint, thyme are just a few essential oils you can use that can help with garden insects. Here’s 9 clever ways to use essential oils on your home garden! More than half of all gardeners say that these slimy critters cause trouble year after year. One gardening expert shared results from several other gardeners on dealing with slugs. These experts included several natural ways to eliminate slugs from your garden, including: garden critters like chickens and chipmunks, beer, crushed egg shells, salt water, copper, homemade garden soap, and hand picking. You will find details for each of these slug deterrents here. More than half of gardeners in one survey reported that squash bug had sabatoged summer and winter squash harvests. The Free Range Life gardening blog shares 6 Ways to Control Squash Bugs in Your Garden ( see here ). 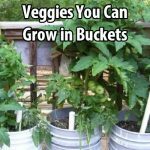 These include: hand picking, planting companion plants, attracting beneficial insects, using diatomaceous earth, watching your mulch, and avoiding over-planting your squash. You will find more information on The Free Range Life website. These pesky little enemies tried to take over the gardens of half the gardeners in the survey. However several home gardeners responded with effective warfare methods, which included: pruning, applying insecticidal soap, attracting beneficial insects, and planting companion plants. 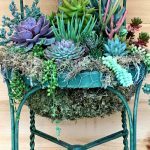 Home gardener at Gardening Know How ( find here ) gives detailed information for how to get rid of aphids naturally. Experienced gardeners recommend that if you see these little white butterflies in your garden, you need to take action to protect your plants before these cabbageworm moths lay eggs. There are several ways to control them naturally, including attracting paper wasps and yellow jackets. Other gardeners recommend biological pesticides, but report that companion planting, and garlic-pepper sprays had disappointing failure rates. One experienced gardener (find here) , shared 8 natural ways to get rid of nasty cabbage moths. These vine borers caused trouble for nearly half of the gardeners surveyed. Most gardeners recommended that the best control methods were crop rotation and growing resistant squash varieties. The Toxic Free NC website (find here) gives wonderful recommendations for dealing with these garden enemies. Although Japanese beetles are not a big problem in extremely hot or cold climates, they came in number 6 with most gardeners. There are several effective ways to get rid of these garden pests, including: handpicking, and companion plants, but things like garlic-pepper spray and row covers had high failure rates. 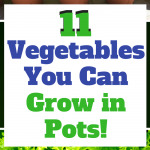 Many home gardeners enlist the help of guinea fowl and ducks, as well as springtime bug-eating birds. 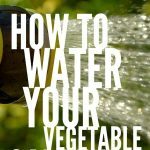 The experienced gardener at Veggie Gardener.com shares several natural ways to control these garden enemies (find here) . 42 percent of gardeners surveyed battled infestations f tomato hornworms. Many gardeners preferred handpicking because these pests are large and easy to spot. Gardeners also recommended using the help of wasps and companion plants for reducing their hornworm problems. The Veggie Gardener.com knows these nuisance caterpillars can destroy a plant in no time—they are eating machines. This website gives several tips for finding and eliminating these pests in each stage of their life (find here). Although many gardeners reported problems with cutworms, most recommended the common practice of using rigid collars to protect their young seedlings. One gardener with ten years experience said that it wasn’t until he became a Montana homesteader that he ever came across this garden pest. However he learned that cutworms can quickly decimate your garden. 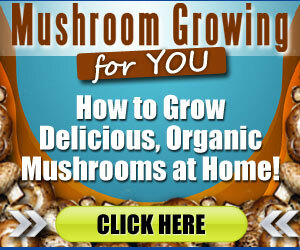 Read the research and tips he discovered for dealing with these enemies of your garden (find here) . Grasshoppers have been a big concern to gardeners since biblical times. Many gardeners expressed that they felt the problem was getting worse with grasshoppers. Some experienced gardeners mentioned two interesting setups using chickens: a chicken moat around the fenced garden perimeter, and a series of three small fenced garden with gates into the chicken yard for easy rotation of pecking services. 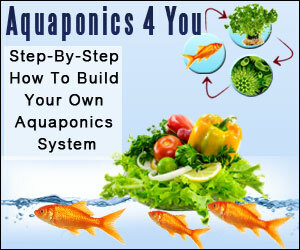 You can find directions for how to construct a chicken moat for effective garden pest control here. The danger with these pests is the fact that they transmit deadly bacterial wilt to cucumbers and melons. Some effective treatments mentioned included handpicking, good garden cleanup of plant debris, and row covers. Others found success with companion planting and yellow sticky traps. The Gardening Knowhow.com website will provide you with very thorough information for identifying and controlling cucumber beetles in your garden (find here) . These were listed as serious pests by many of the gardeners surveyed, and a variety of methods for eliminating them included: using instruments to add oil to the ears of corn, choosing resistant corn varieties, and popping off the end of the ear. Planet Natural.com gives a great description of these garden pests, discusses the damage they do to the ears of corn, and describes several natural ways for getting control of corn earworms (find here). Whitefly-plagued gardeners used exclamation points to emphasize their frustration with these tiny sucking pests. Many gardeners found insecticidal soap effective, including homemade insecticidal soaps. These common insects have developed resistance to many synthetic pesticides, but there are proven organic techniques for eliminating them, including yellow sticky traps, the Bug Blaster, natural predators, and organic or homemade pesticides and insecticidal soaps. You can find lots of information here. Now that you’ve read through this list of 12 dangerous garden pests, you are probably hoping—just like I am—that none, or at least only one or two, of these garden pests find their way into your garden. But just remember…you may lose a battle or two with some of these garden pests, but if you arm yourself with this information and have ready the weapons you will need to get rid of these enemies, you can win the war and reap a wonderful harvest from your garden. Let’s go get busy driving off these pests!